Bachelor and bachelorette parties are meant to be once-in-a-lifetime unforgettable moments shared with closest of friends. This is the time when lifelong buddies hit L.A. for one last hurrah with the future bride or groom. Our fleet offers stretch limousines and party buses to make sure you hit Los Angeles in style! No matter the size of your entourage, we have the luxury party transportation package to accommodate your needs. Our fleet of low-mileage vehicles are meticulously maintained and cleaned inside out and arrive spotless for your big night out. Included in our luxury fleet are: stretch limousines, mini party buses, and exotic vehicles that can accommodate larger groups of people. Whether you choose to party at the hottest clubs, eat at a chic restaurant or just cruise around, our chauffeurs know the best spots across L.A. to turn your night into the ultimate party. 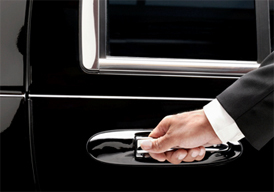 Depending on the vehicle of choice, we can offer per hour pricing or fixed all-inclusive prices. Our team is standing by 24 hours a day to respond to all of your bachelor party limousine needs in Los Angeles.